Twice kicked me out without giving me reason had to change number but never gave reasons or a path to reset the phone . Phone verification fails. Phone recovery fails. They take money and then halfway through the subscription terminate your access. I’m currently returning to the application but the Application won’t send the code to verify my number. I signed up last night and this morning I got 12+ calls from a random number and 3+ from another. I’m not sure is this is the app doing this but I deleted it and they keep calling. This app supposedly gives users new numbers, but it won’t do so unless you give it your number first, so it can’t be used on an iPad or other devices which don’t have a cellular number to get calls. Doesn’t really fit the voIP purpose. Downloaded the app, needed to send photos and lots of text, purchased the year unlimited only to begin receiving texts in kanji or something. I reached out to their support and was told that was how they received the text. Talked to the friend that sent it and it was 100% in English. Support said they checked their back end and saw the same thing. Blamed it on the senders method of sending whether it was too long of a text or a third party keyboard. Regardless, do not feel like I’m getting what I paid for. Tried to use a phone number to sign up for a Twitter account. Didn’t work. Didn’t get an answer as to whether or not it would work. Now I’ve wasted my money on a subscription. I should have waited for that answer. You can test and message, but the call function does not work on my iPad. When you receive a call it sends it to my cell phone. If I wanted it on my cell, I would not need a second number. Frustrating. Good 2nd number for hiding your real number but is anyone else experiencing lost or erased notes if you’re using the notes section for each profile number? I give hardly anybody my real number because if I want to change it I don’t want to pay $15. I subscribe and block how I want too. My everyday number is not tied to my social media accounts. When people import their contacts I don’t get suggested as a friend. This prevents co workers and other from knowing my personal business. I have tried apps by pinger and google voice. I did not like them and this is by far the cheapest option. I highly recommend it. Not impressed at all. Would not let me answer calls. Good idea poor execution. 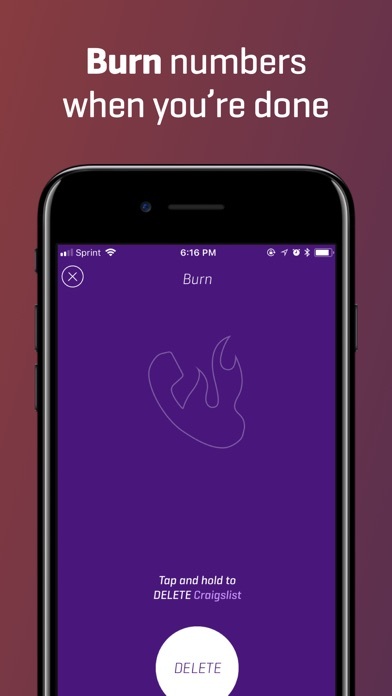 I’ve been using the Burner app for over a year. They must’ve instituted a software change in the app, but it no longer works for me - when I enter my passcode/fingerprint to pay for credits through PayPal (as I did with no issues in the past), I get a message that PayPal needs to send an sms to verify my account and then the App Store pops up with a blank window (and no sms is sent). I contacted their support and have a detailed description of the problem and my phone number and all I got was a generic response asking if my question had been answered (?!) My recommendation is to find another app. I need the 6 digit code to log in and it doesn’t send it to me after multiple resends. 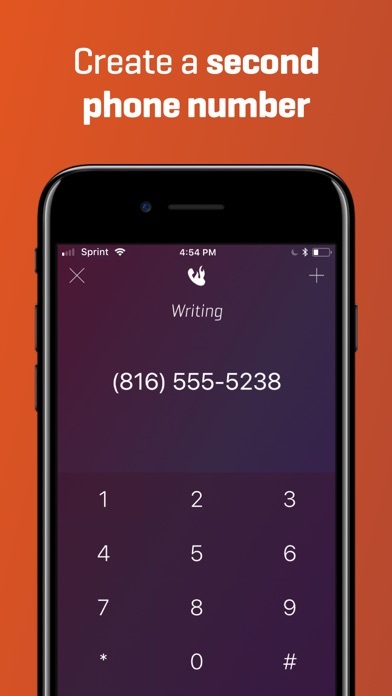 When I make an outbound call from my burner number, my MAIN number pops up on the caller ID. My main number is not hidden. I made a test call to home number and the calls were forwarded to my main voicemail number. I have been trying to cancel my $4.99 subscription since I don’t need it at the moment and it’s impossible. 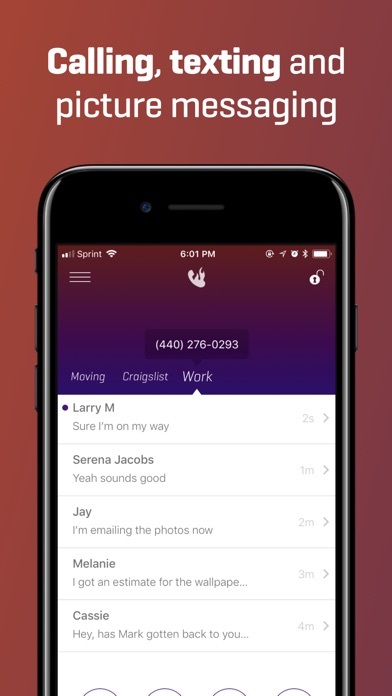 Love the idea for this app. I sell things on Craigslist and using my actual # was getting me added to massive SMS spam groups. Worked great the first month. Just renewed and notifications stopped working. Only other thing that changed was update the other day to 12.1.4. Sometimes I'll get notified of texts, sometimes I won't. Even when I do, upon opening the conversation, the app hasn't updated with the text (even if it was present in the notification)! The only way I can see it in those instances is to force-close and reopen the conversation. Other times, I never get a notification and when I go back to check, the other person texted me what seems like hours ago. It only shows me the last time I sent a message, so I'm not sure. This needs to be fixed. I won't be renewing this month if it's not. Also, there should be a time stamp on every message. 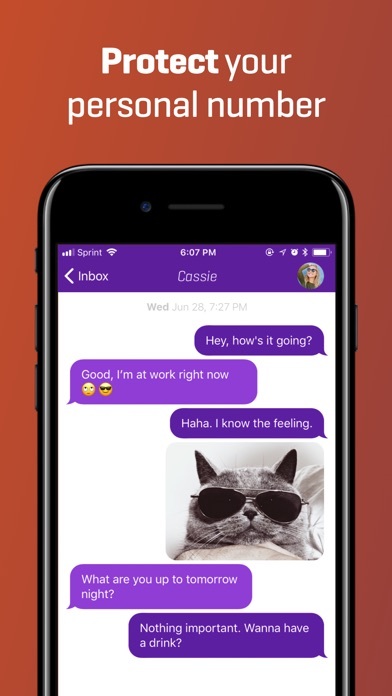 Either via pulling to the side like in Messages or long/3d-touching a message. I noticed this more because this phone doesn't belong to me. 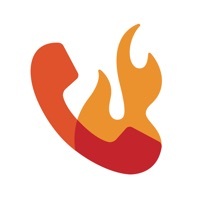 So when I got the telemarketing calls from a unique area code I'd only used in burner I knew someone had taken the number I'd entrusted them with and given it to someone else. It's always unethical to give someone's private info out. Otherwise it's a five star app. Ever since I got this number I get daily incoming calls to the burner number trying to sell me sh’t. They sell you out I guess!? i signed up for this app so i could connect this number to a tinder account but whenever i send the tinder code to the number, it doesn’t pop up. 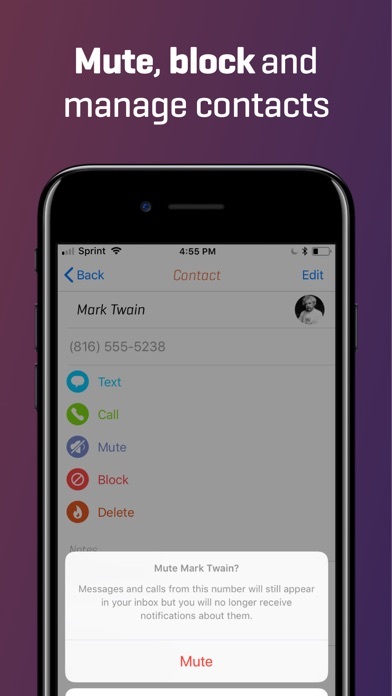 This is going to work great for the calls I get for my clients. I would love to see a whole different background when someone calls my burner number. Also it would be great to assign a different Ringtone to alert me that someone is calling the burner number. I don’t put my clients in my Phones Address book. Could you please make this happen before I start paying for it. You guys do that I will definitely stay. If not.m for 5 more dollars I can get another sim for my iPhone XS Max. Thank you. Just wondering, how do I cancel a line? Overall, I love this app. I do wish sending video was supported. Also, when I try to add a note to a contact, it doesn’t save. Don’t buy this app. The app has crashed over 3x. The final time it crashed I was told because I was banned. No reason given except they have the right to. Meanwhile they keep any credits you had. I used this 2nd phone number for sales calls and other work related calls. This is the 2nd time I have been locked out in the last few months. But this time, I am locked out for days!! An incredible app that does what it says it will do with very little, if any struggle for the user! Truly...this is a great app. What would make it even better is if the developers could update it to work with Apple Watch as well. This would make me love it even more. I just got this app to use for business as a second number but I am thinking of dropping it altogether. I kept getting spam text messages despite not giving my new number to anyone. When I tried to burn the number and got a new number the same thing keeps happening. I keep getting this messages with a link to a website. The website could be full of virus for all that I know. On top of all this the new number that I got after burning the old one does not work. I am not able to get any text messages or calls and the calls go to voicemail. Forget about support. There is not any phone number to call to alleviate this concern. The app does work well. I’m using it as a number for people to call during our fundraiser at school so I don’t have to give my number out to 200+ families. I wantd a second number for business so that I can control business after hours. I read the reviews and downloaded the app. It asks for my country and p.number. An alert box pops up and says it is about to send me a 6- digit code, and gives yes or no options as to whether all looks correct. However, I never received the code, and there wasn’t any option for that. Sincerely , Lost & second lineless .